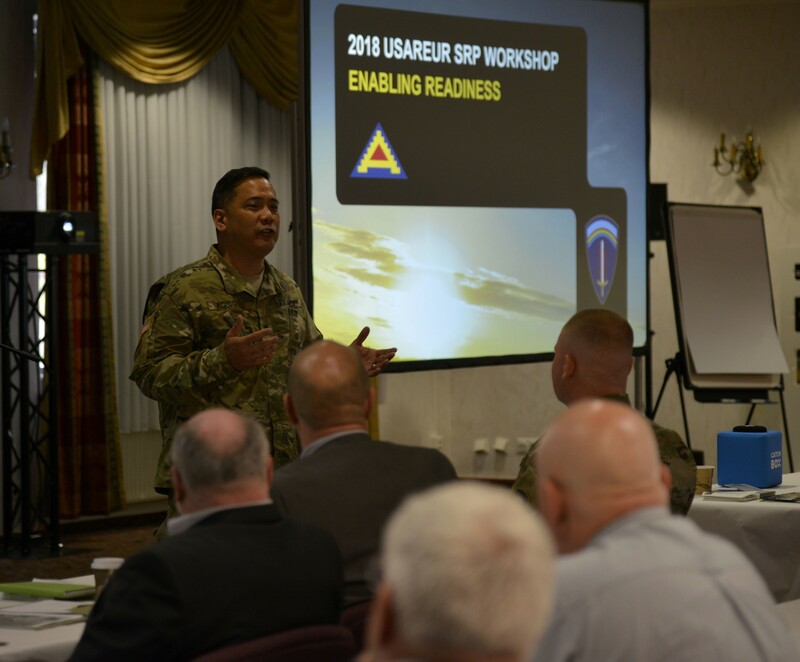 GRAFENWOEHR, Germany (April 16, 2018) -- Approximately 150 representatives from German, U.S. and multinational civilian and military organizations participated in the U.S. Army Europe (USAREUR) Sustainable Range Program (SRP) workshop at the Grafenwoehr Training Area, April 16. 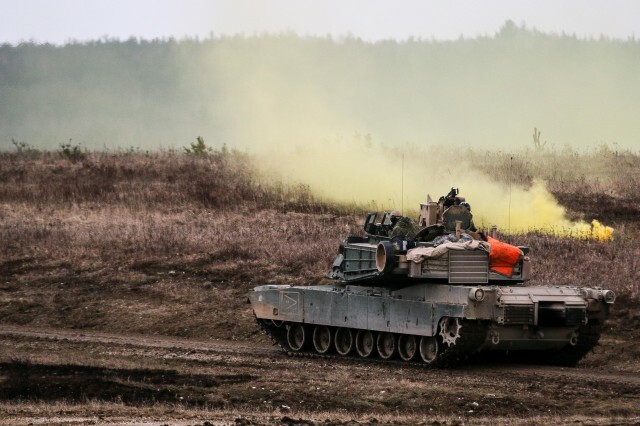 The two-day event takes place once every two years to bring key stakeholders together to discuss challenges and best practices in regard to constructing, maintaining, and sustaining training areas and ranges. Key stakeholders include environmental, forestry, safety and training support representatives. "The mission of the Sustainable Range Program is to maximize the availability, accessibility and capability of the U.S. Army's training areas," said Nate Whelan, the Integrated Training Area Management (ITAM) program manager at the 7th Army Training Command's (7ATC) Training Support Activity Europe (TSAE). The SRP is comprised of the ITAM program and the Range and Training Land Program. ITAM covers the maneuver land while the Range and Training Land Program includes live-fire ranges and facilities, shoot houses and urban operation sites. 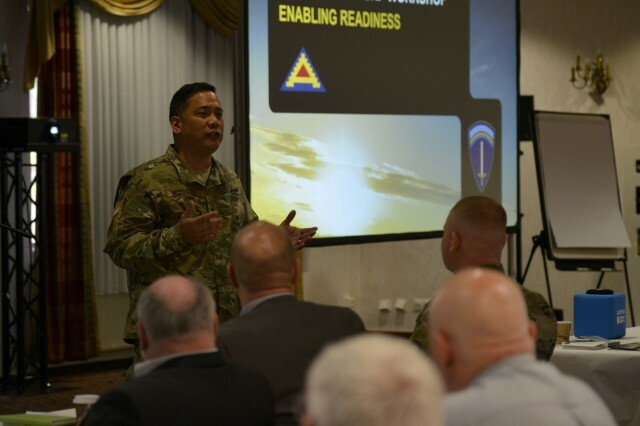 "We must sustain the training land platform and continually enhance training realism for the Soldier," said Brig. Gen. Antonio A. Aguto Jr., commander of 7ATC. 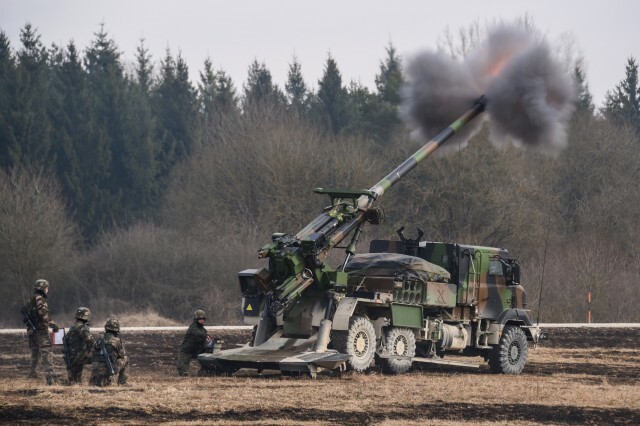 7th Army Training Command is in charge of the two specific training programs for all of USAREUR, which includes building new ranges and modernizing training areas, repairing areas from damages or other impacts from training exercises, and conducting revegetation and erosion-control projects. "What drives our program are training requirements," said Whelan. "A simple example is wanting to do more training with drop zones. So, if there's trees or other obstacles in the area that needs to be cleared, we would go out there and clear that so it's safer." The workshop provides TSAE the opportunity to work with the key stakeholders in order to make projects like this happen. "You have to find these win-wins where you do projects that benefit training but also benefit the environment," said Whelan. Through the workshop, participants share challenges faced, lessons learned and best practices. "This is the cornerstone event for Europe for bringing these experts together and talking about these types of projects," said Whelan.